View More In Nuts & Seeds - Page 5. California walnut harvest is in the fall, and we keep our organic walnuts in cold storage at 33 degrees from the moment we pull them from the dehydrator. 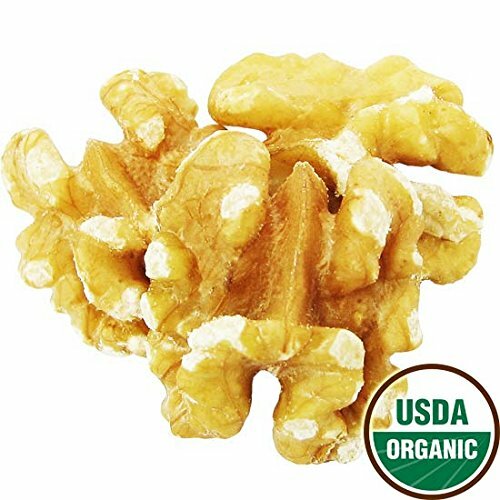 Our California grown organic walnuts are low in saturated fat and high in both polyunsaturated and mono-unsaturated fat. Shelled walnut halves are an excellent source of omega-3 and omega-6 fatty acids, which act as natural anti-inflammatory agents, and help promote cardiac health. We get these sustain-ably grown walnuts from a neighboring farmer not too far down the road. These walnuts were grown with no herbicides or synthetic chemicals. Great for snacking for home, school and office. Great for baking, cooking, or right out of the bag. If you have any questions about this product by Bella Viva Dried Fruit, contact us by completing and submitting the form below. If you are looking for a specif part number, please include it with your message.